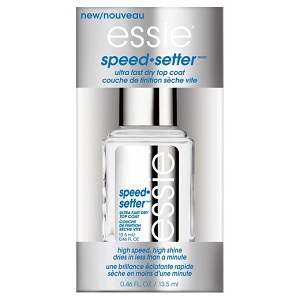 Essie Speed Setter Ultra Fast Dry Top Coat, .46 fl. oz. Ultra fast dry top coat that dries in under a minute with a high shine finish.